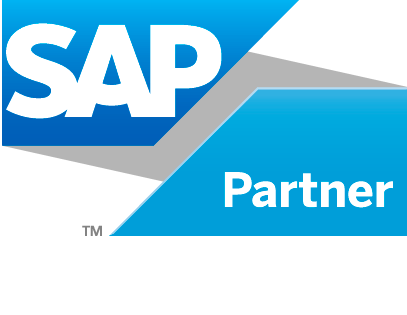 EDC Consulting is an SAP Partner and recognized as a subject matter expert in supporting and delivering SAP solutions. Focused on helping our customers realize the best return on their investment in the areas of cost, compliance and quality, we provide industry-specific business solutions through a wide range of implementation services and support, tools and operational support. In addition to being an expert in implementing SAP’s core modules, EDC has extensive experience in implementing SAP BusinessObjects™ Business Intelligence platform, providing managed services, functional consulting, and technical consulting services. For more information on SAP, visit www.sap.com. EDC Consulting is an Oracle Platinum Partner and a recognized expert in delivering a wide range of Oracle products and technology to a broad and diverse client base. Our company has many Oracle Certified Professionals on staff that specializes in Oracle and PeopleSoft solutions. EDC has satisfied Oracle’s most stringent requirements for skills and expertise in each product area. As a Platinum Partner, EDC has greater access to the latest technology, training and product initiatives than other partner levels. Our clients benefit from our breadth of Oracle knowledge and capabilities to deliver the right Oracle and PeopleSoft solutions to meet their requirements. We are experts at implementing Oracle’s E-Business suite, Oracle Fusion Middleware (FMW) and PeopleSoft Human Capital Management (HCM) solutions. For more information on Oracle, visit www.oracle.com. EDC Consulting is a Premier Business Partner and a Federal Preferred Supplier of the IBM Corporation. EDC has a long-standing relationship in place with the IBM Corporation and has in-depth experience in most of IBM’s software products, including Maximo, Infosphere Datastage, Cognos, Tivoli, WebSphere and Rational. For over 10 years, EDC has supported over 25 separate client engagements where EDC has served as a trusted teammate and subcontractor to IBM, and in turn, IBM has served as a valued teammate and subcontractor to EDC. For more information on IBM, visit www.ibm.com. EDC Consulting is a Microsoft Certified Partner that has been designing, developing, deploying and working with Microsoft products for over 10 years. EDC’s in-depth experience includes having worked extensively with Microsoft Dynamics, SharePoint, Windows server platforms and Exchange infrastructure. Microsoft Certified Partners represent a high level of competence and expertise with Microsoft technologies, and have a close working relationship with Microsoft. EDC employees hold various Microsoft certifications including Microsoft Certified Solutions Associate (MCSA), Microsoft Certified Solutions Expert (MCSE), Microsoft Certified Solution Developer (MCSD), Microsoft Certified Technology Specialist (MCTS) and Microsoft Certified IT Professional (MCITP). For more information on Microsoft, visit www.microsoft.com. EDC Consulting is a strategic go-to partner of SnapLogic, an industry leader in enterprise integration platform as a service (iPaaS). EDC provides consulting and implementation services for cloud-based application and data integration using the SnapLogic Elastic Integration Platform. The SnapLogic Elastic Integration Platform enables enterprises to connect to any source, at any speed, anywhere — whether on premises, in the cloud or in hybrid environments. The easy-to-use platform empowers self-service integrators, eliminates information silos, and provides a smooth onramp to big data. For more information on SnapLogic, visit www.snaplogic.com.